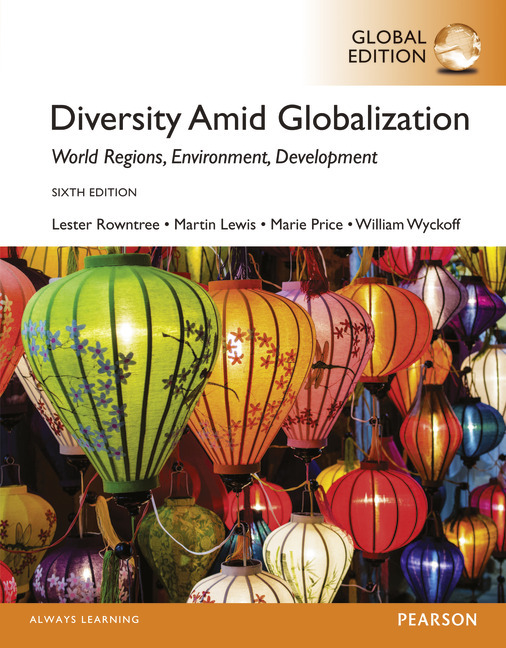 Available with optional MasteringGeography™, the most effective and widely used online tutorial, homework, and assessment system for the sciences, Diversity Amid Globalization, Sixth edition offers the most complete and integrated world regional program available today. In Cultural Coherence and Diversity sections, there are two new sections: “Gender and Globalization”, and “Sports and Globalization." MasteringGeography: This online homework, tutorial, and assessment product is designed to improve results by helping students quickly master concepts. Students benefit from self-paced tutorials that feature immediate wrong-answer feedback and hints that emulate the office-hour experience to help keep students on track. With a wide range of interactive, engaging, and assignable activities, students are encouraged to actively learn and retain tough course concepts. You are purchasing a standalone product; MasteringGeography does not come automatically packaged with this content. MasteringGeography is not a self-paced technology and should only be purchased when required by an instructor. NEW! Learning Catalytics™ is a "bring your own device" student engagement, assessment, and classroom intelligence system.